The Cavaliers had planned to give away a Fathead featuring Andrew Bynum to fans attending Cleveland’s game against Golden State Sunday, but the team has called an audible in light of the center’s indefinite suspension announced Saturday. Instead, all kids 14 and under in attendance of the game will receive a voucher redeemable for two free tickets to a January Cavs home game and a handout they can redeem for a free Cavs Fathead Tradeable pack every week for the next five weeks at any Northeast Ohio Discount Drug Mart. 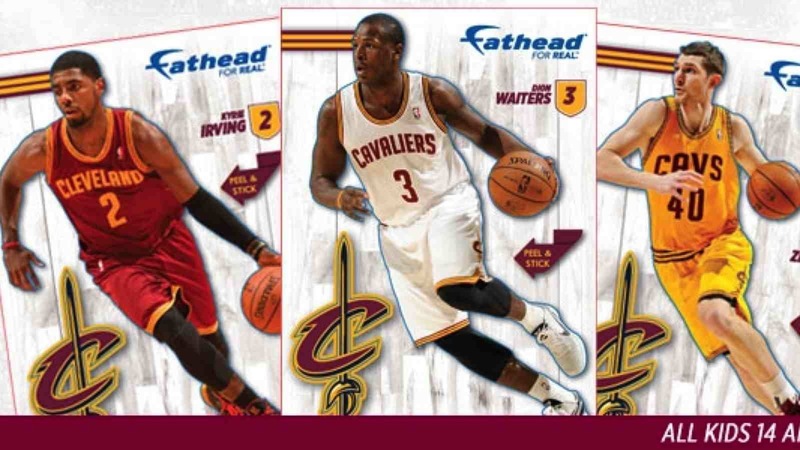 Each pack features two Cavs players. The handouts will also have information for how to receiver a 50 percent discount on Cavaliers Fathead products via a special online offer that is available through January 4.